Print or photocopy sufficient ‘Chatty Paul’ templates for one per child. Before the session make a sample ‘Chatty Paul’ so that the children know what they are making. 1. Colour in your template and fold it in half as shown in the picture. Cut out the shaded area inside Paul’s mouth. 2. 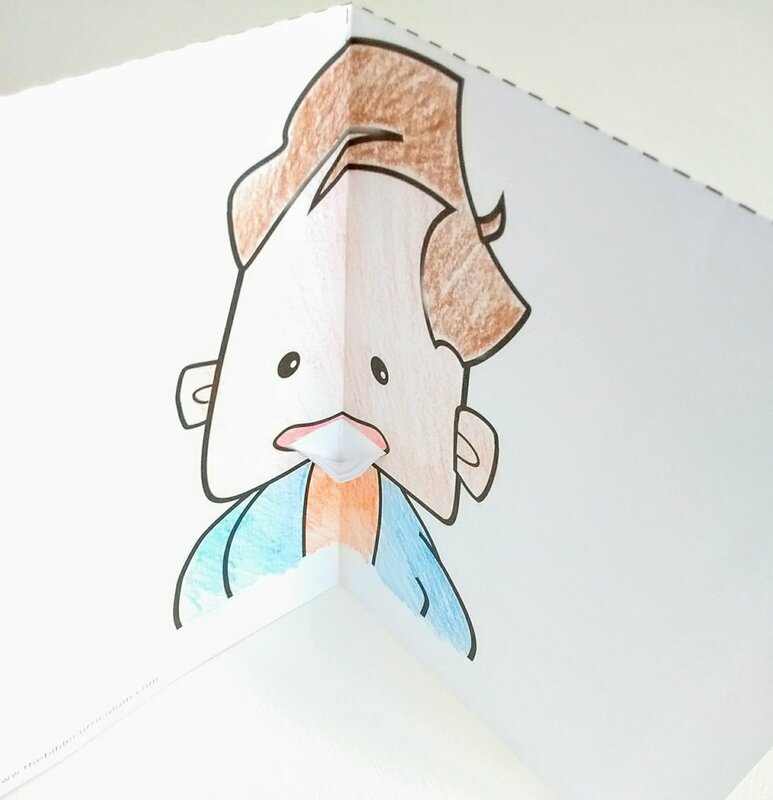 Fold down a triangular flap from the edge of Paul's mouth to the centre. 3. Turn the paper over and fold the flap down on the other side as well. 4. Open out the template and fold it in half the other way. Fold it in half again as if making a card. Open out the ‘card’ and pull out the flap of Paul’s bottom lip. As you open and close the card, Paul’s mouth will open and close too. If you have time, cut out and stick printed Bible verses next to your chatty Paul. Alternatively copy a verse from one of Paul's letters.